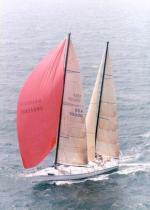 Ours is one of the early Lagoon 42's built by TPI in Rhode Island. My husband and I have lived aboard for 6 to 9 months per year, cruising from Connecticut to South America and back and many months playing in between. We've been doing this for 13 years. And we love our boat for this purpose. The older Lagoon cats like ours are great sail boats. 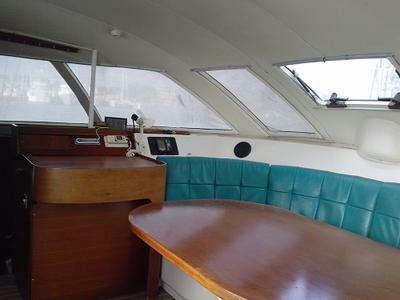 They have sloped cabin windows instead of the current vertical ones and the hulls and underbody offer lovely lines, high bridge deck clearance, good load bearing capacity, comfortable motion and Very Little Slamming. 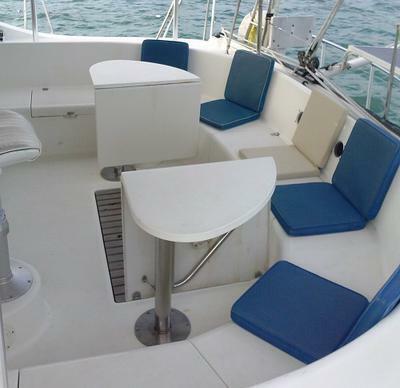 It's a quiet boat, which I can't say for many other catamarans I've been aboard. And the sails are fairly easy to handle. We lived aboard and cruised in Monohulls years ago. They drew over 6 feet and were slow. When we made a list of what we wanted in our next boat, we knew we wanted to sail in shallow areas such as the Chesapeake Bay and the Bahamas. So we wanted a maximum draft of 5 feet. The boat need to be fun to sail. And we wanted to be fairly comfortable. It was also important to have a comfortable space up high enough to enjoy the view at anchor. And a helm protected from the elements (sun as well as spray) was important since we are frequently there for many hours at a time for several days in a row. 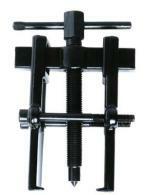 It turned out that this described a catamaran! Being an avid monohull sailor, I was hard to convince. So we delivered a number of different cats and I was sold. 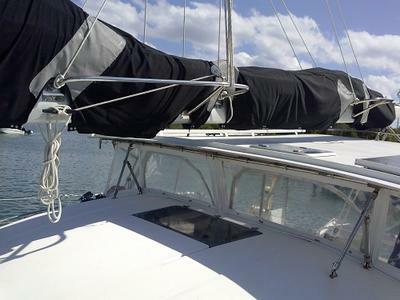 Now, though I still like to sail monohulls around the cans, I think catamarans are the perfect boat for sailing the southern U.S., the Bahamas, and the Caribbean. Anywhere you can live at anchor is good. That is the best looking Lagoon I have seen. She sounds like a great cruising cat Doris. If she really is for sale, don't forget you can advertise her right here entirely free of charge. 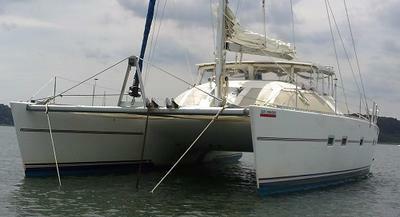 Just go to https://www.sailboat-cruising.com/sailboats-for-sale-privately.html and follow the instructions there.